This beloved celebration of local food, wine and friends, family and neighbors was created to bring the romance of Provence to Yolo County, which shares a similar climate and terrain. We’re delighted that Georgeanne Brennan, an authority on the Grande Aioli and Yolo County resident, will be with us for the Village Feast. What is The Village Feast? The Village Feast commences upon the closing of Saturday’s Davis Farmers Market —America’s Favorite Farmers Market—in celebration of September’s Sacramento-region Farm to Fork Month. Yolo County puts the “farm” in America’s Farm to Fork Capitol, and so we come together to enjoy and honor the bounty of our local farmers. Guests bring their own table settings, arriving with baskets filled with the necessary plates, silverware, glasses, and napkins, before aperitifs are served—with olives, nuts, and local light wines. With friends and neighbors gathered around, sharing a table and raising our glasses, we feast. ​ The communal meal on September 29th from 1-4 pm, held outside at Central Park in Davis, is a celebration for up to 350 people. Down the center of the tables stand jars of local flowers, bottles of Yolo County wines, fresh baguettes, and bowls of salt. 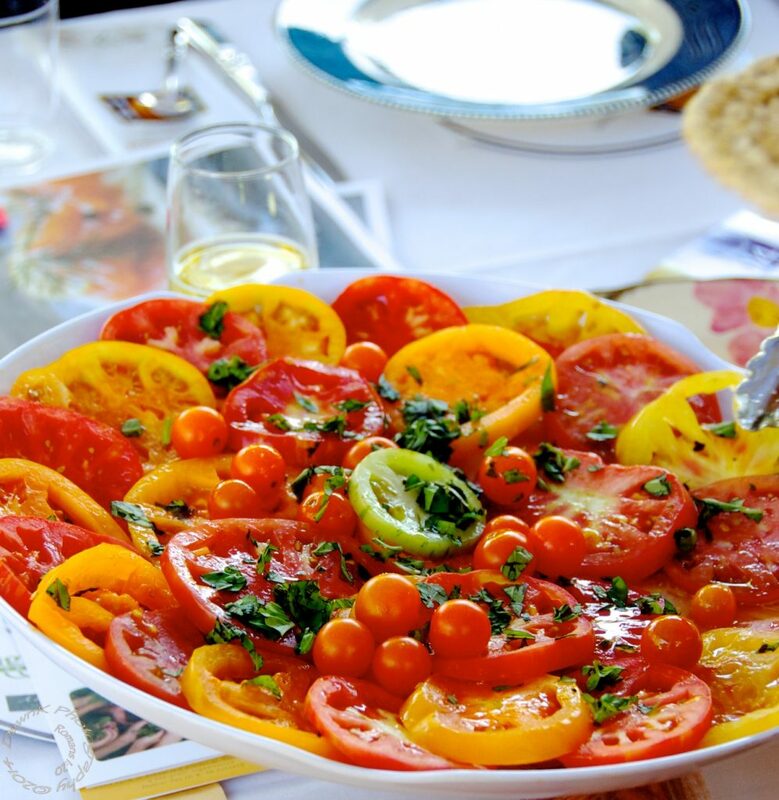 The meal begins family-style, with passed platters of heirloom tomatoes drizzled with local olive oil. Steamed and grilled end-of-season vegetables, hard-boiled eggs, and bowls of garlic-scented aïoli follow the tomatoes. Next comes the grilled lamb. The bottles empty, the bread is eaten, and dessert is served—fruit tart, or as the French say, a galette. As the event winds down, guests drift off for coffee, to chat with friends, or to stroll around the park. ​What is a Grand Aïoli? 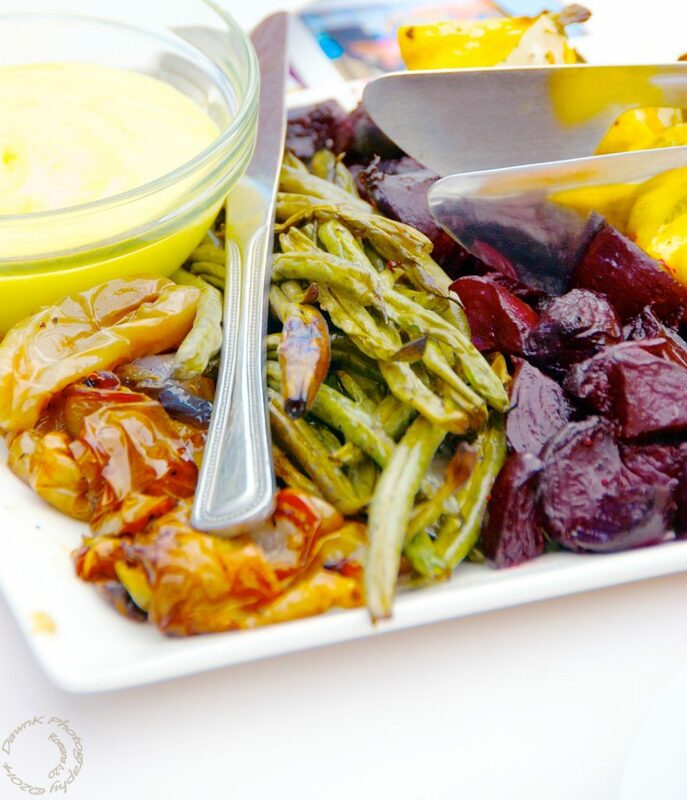 Our Village Feast follows the tradition of one of the great, late-summer feasts of Provence, France, where vast amounts of pungent aïoli—the golden garlic-mayonnaise that is a symbol of Provençal cuisine—unites people and food for a gastronomic celebration. The Sacramento region and Provence share a rich agricultural bounty owing to our Mediterranean climates. All that is needed for a feast—olives and olive oil, vegetables, nuts, wines, lamb, and more—is cultivated from the soil of our region. ​The Feast was designed and created by award winning cookbook author Georgeanne Brennan, who splits her time between nearby Winters and her home in Provence, with her former business partner, Ann Evans, author of the Davis Farmers Market Cookbook and former Mayor of Davis, who has also spent many summers in Provence. Georgeanne and Ann developed this event for Davis with same anticipation they had in attending the Grande Aioli’s in the small villages throughout Provence. For the first 10 years, they held it in August as in France, but this year Ann, who is cochair of the event, moved it to September. August was too hot in Davis. For Ann’s aioli recipe from her Davis Farmers Market Cookbook, see www.annmevans.com. Georgeanne Brennan has shared her recipes gleaned from years of living part time in her home in Provence with The Buckhorn Catering Company of Winters to ensure that this set meal is authentically French. What’s on the Silent Auction Table? A day as chef in the kitchen of the famed, Berkeley Chez Panisse, including dinner for two at the chef’s table in the kitchen. A week in Georgeanne Brennan’s Provencal home. A plein aire painting by acclaimed artist “Nemo” of your group while you dine at the Village Feast. Baker for a Day for two at Upper Crust Bakery, Davis with a gift basket to take home. See our sponsors and other auction items, such as wine tastings, coffee tastings, cooking lessons and other homes to stay in, at https://www.davisfarmtoschool.org/vfsupporters. All proceeds benefit two regional non-profit organizations – Davis Farm to School which assists public and private schools in the Davis area with garden based learning and cooking lessons. And, Les Dames D’Escoffier, Sacramento that supports a regional scholarship fund for women in food, fine beverage, hospitality and agriculture. For more information and to buy tickets https://www.davisfarmtoschool.org/village-feast. « Experience Our Sunflower Weekend!